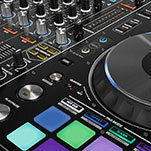 Pioneer DJ has created a new controller for dedicated use with its professional performance application, rekordbox dj. 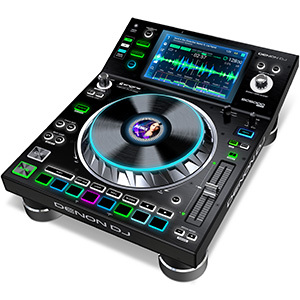 The 4-channel DDJ-1000 is designed to help DJs get the most from the new features coming to rekordbox dj in the latest version (ver 5.1), which will be available to download tomorrow (18th January 2018). 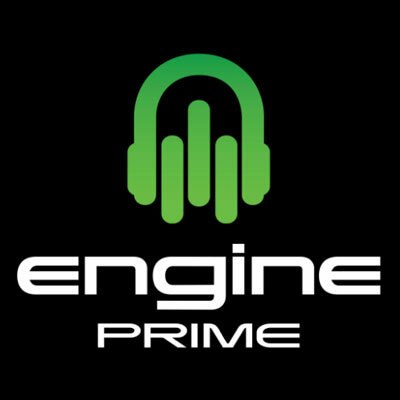 Pioneer DJ has today (7th September 2017) announced upgrades to two of its products created for use with the Serato DJ software. 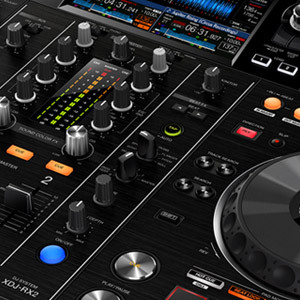 The new DDJ-SR2 controller and DJM-S3 mixer are both designed to help DJs get the most from using the Serato software, including dedicated controls for recently introduced new features. 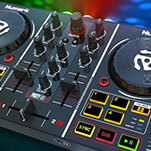 Numark has today announced the release of its new DJ2GO2 pocket-sized - but fully-featured - DJ controller. 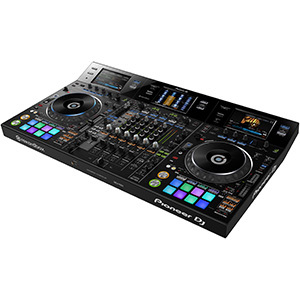 An upgrade to the original DJ2GO, the new model boasts a built-in soundcard, a full set of mixing and playback controls, two audio outputs and Serato DJ Intro, making the DJ2GO2 the smallest fully-equipped DJ controller around. 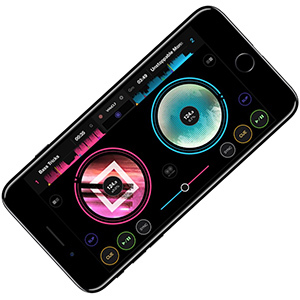 Pioneer DJ has today released an iPhone version of its DJ performance app WeDJ (it was previously only available for iPad). 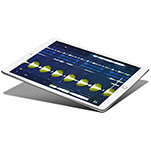 The incredibly affordable app allows users to mix and apply effects to the music stored in their iTunes library and could prove useful for mobile DJs looking for a backup music source should their main playout system fail. 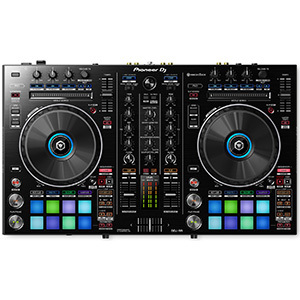 Today (1st of July 2016) Pioneer DJ has announced details of two exciting new products for video DJs. 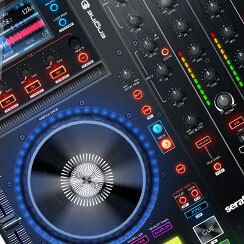 Firstly, there’s the rekordbox video Plus Pack, which adds video mixing capabilities to Pioneer’s DJ mixing software. 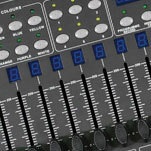 Secondly, there’s the DDJ-RZX, a new flagship controller specifically designed for video DJing. 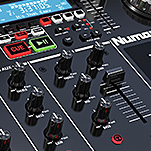 Numark has announced an updated version of its Flagship Serato DJ controller, the NV. 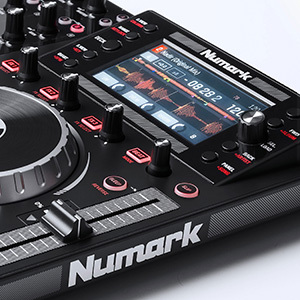 Sporting a new external design, as well as a handful of additional features, the new Numark NV II is scheduled to start shipping in the summer. 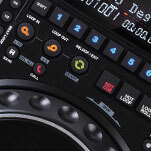 Described as ‘festival-ready with arena-grade sound’ Pioneer DJ has extended its line-up of professional DJ products with a new top-of-the-range media player – the CDJ-TOUR1 and a new topflight mixer – the DJM-TOUR1. 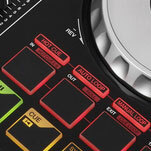 DJ equipment brand Reloop’s latest piece of equipment isn’t a fancy new controller or feature-packed mixer, but an affordable and functional accessory that may be of interest to any mobile DJ who plays out using a laptop and MIDI controller combination. Today (Tuesday the 26th of April) Pioneer DJ has announced the expansion of its range of rekordbox dj controllers with the introduction of the entry-level DDJ-RB and more advanced DDJ-RR. 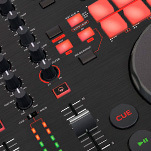 Both of the new two-channel controllers include buttons for new features introduced in the latest version of rekordbox dj (4.1.1) which has been released today. 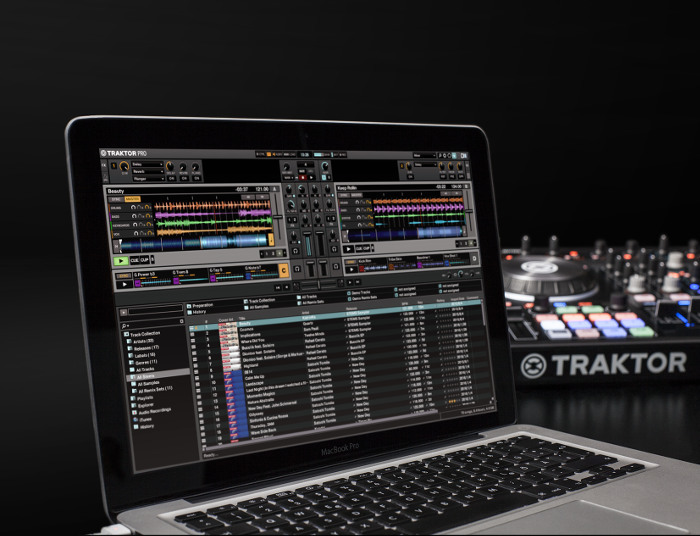 Native Instruments, the DJ software and hardware manufacturer, yesterday (22nd of February) released a free software update for TRAKTOR users. The free to download TRAKTOR PRO 2.10.1 update extends control of the Stems format to all TRAKTOR users, giving mobile DJs access to Stems even when using a third-party controller. 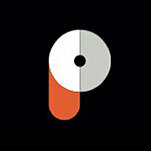 Teaming up with streaming service Pulselocker, Pioneer DJ will allow DJs to stream tracks directly from their Pulselocker account into Pioneer’s popular rekordbox dj software. The initiative will give mobile DJs a new way to access music while out on the road, saving them the need to always carry extensive digital collections with them. Reloop has launched a new controller at NAMM 2016, the American tradeshow which kicked off yesterday in California. The Reloop MIXTOUR is a compact hybrid controller for iOS, Android and Mac, offering mobile DJs cross-platform control over the award-winning DJAY 2 app by Algoriddim. 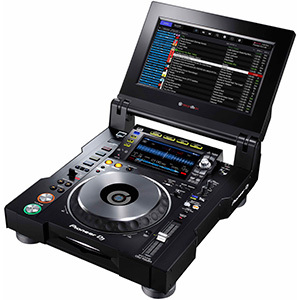 Building on its popular CD MIX product, Numark has announced the release of an updated version called the CD MIX USB, which adds dual USB-drive playback capability, allowing mobile DJs to incorporate their portable digital music collections, alongside CDs. DJ equipment manufacturer Numark this week announced the launch of a new outboard three-screen display, enabling users to update their Serato controller with a 4.3” full-colour LCD screen. 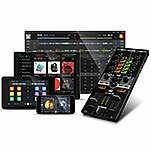 The new Dashboard connects to a wide range of Serato DJ mixer DVS solutions and controllers, allowing mobile DJs to update their existing systems. 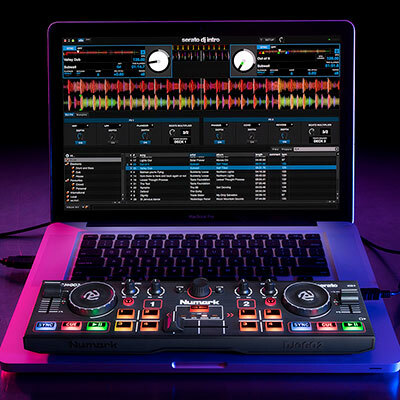 DJ equipment manufacturer Numark has announced the introduction of its full-featured Party Mix DJ controller, which will provide mobile DJs with an easy-to-use system that’s perfect for beginners or those looking for a simple back-up solution for taking on the road. A new version of the popular DJ Player app for iOS has been launched, boasting new features and a sleeker design. 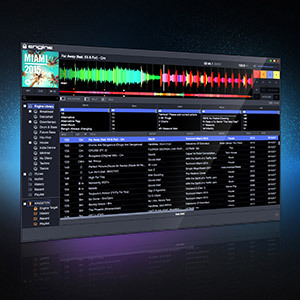 DJ Player Pro builds on the distinctive interface of the original, as well as offering effective data-syncing and compatibility STEMS, providing mobile users with a more advanced DJing solution for their handheld devices. 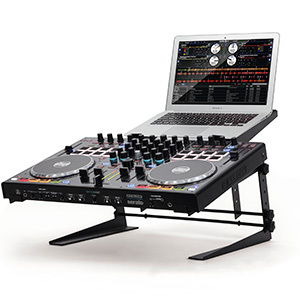 New Pioneer DDJ-RZ: In Stock at a Store near You! 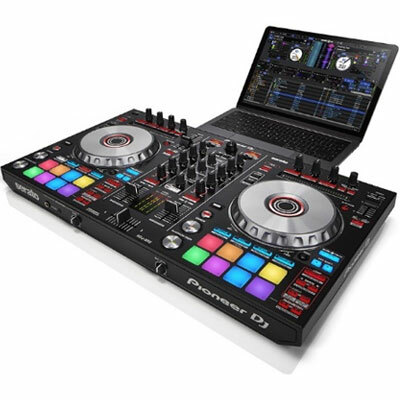 Pioneer DJ has now released its flagship DDJ-RZ controller, designed to offer intuitive compatibility with rekordbox dj, providing mobile DJs with a controller that lets them prepare tracks in the software and enjoy plug-and-play performance directly from their laptop. 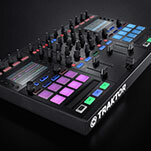 Native Instruments has announced the release of TRAKTOR KONTROL S5 – a new all-in-one DJ system that will make it easier for mobile DJs to get creative with their mixing and appeal to younger audiences using the latest DJ technology. 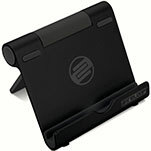 Reloop will release the pocket-sized new Tablet Stand this month (September), offering mobile DJs a sturdy, compact and extremely flexible stand solution, allowing them to integrate their tablet or smartphone into their workstation as part of a more expansive digital setup. 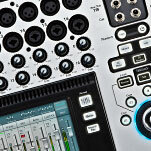 Reloop Launches ‘Next Gen’ RMP-4 Hybrid Controller! DJ equipment manufacturer Reloop has announced the launch of two brand new products – the RMP-4 hybrid media player and RHP-15 DJ headphones, both of which allow mobile DJs to get more creative with their mixing to bring excitement to a range of events. 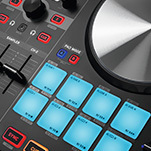 The TouchMix-16 is the latest release from the QSC’s popular Touchmix series, offering mobile DJs a compact, easy-to-use mixer that features integrated software, a well-sized touch screen, and convenient Wi-Fi connectivity. 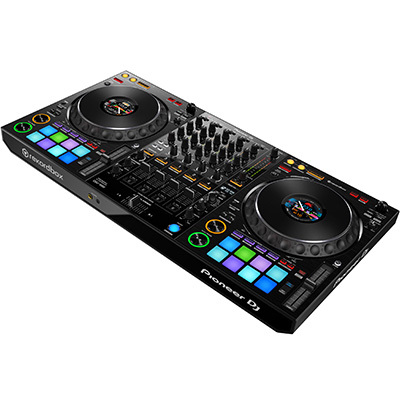 Pioneer DJ has announced the release of its DDJ-SB2, a new entry-level controller designed for use with Serato DJ and Serato DJ Intro, building on the original DDJ-SB model by giving mobile DJs high levels of control and a range of new features. Prolight Concepts brand Transcension has released the V1.5 software update for its popular LED Master 64 DMX controller, giving mobile DJs a range of new features with which to control their lightshows in exciting new ways. 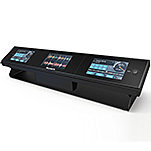 DJ equipment manufacturer Gemini DJ has released the new GMX Drive, a versatile multi-format media controller that enables DJs to playback all forms of digital music, as well as acting as a software controller when linked to a laptop running Virtual DJ and other control applications. Reloop is now offering its Serato-compatible Beatmix 2 controller in a stylish black design, for those mobile DJs who want a performance-oriented, two-channel pad controller that will look great as part of their existing black rig.